Cats, tacos, tropical succulents, marching bands and more. May, you can’t come soon enough. 1. Pittonkatonk at the Vietnam Veterans Pavilion: May 5, 1 – 11 p.m. Equal parts May Day merrymaking, giant community potluck and outdoor music festival, Pittonkatonk is back with its fifth and most expansive lineup. Spanning the chill afternoon, dusk magic hour and late-night party vibes, there’s nothing like it in the Burgh. Authentic and grassroots, Pittonkatonk erases boundaries between performers and attendees, which means there are no stages, green rooms, tickets or corporate sponsors. Sounds representing West Africa, Chicago, Providence and more will fill the pavilion and spill into the park actively engaging listeners in live performance. 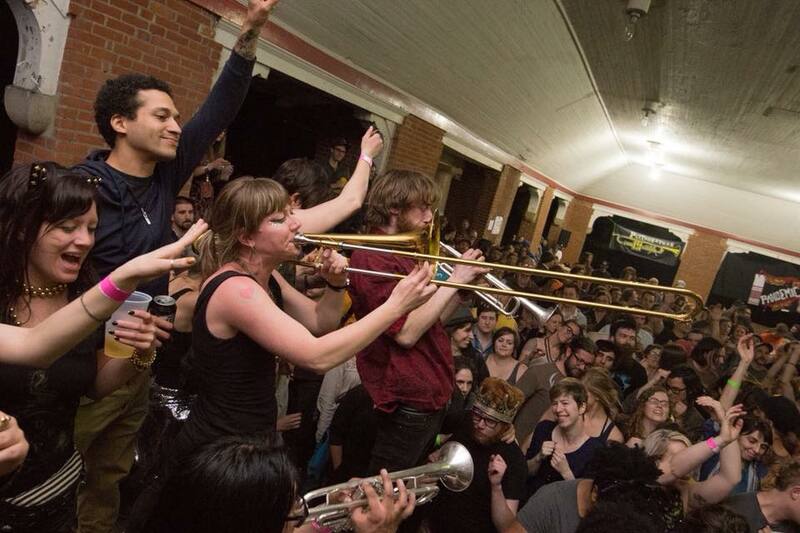 Pairing international acts such as Mdou Moctar with event favorites Detroit Party Marching Band and locals like Afro Yaqui Music Collective, the idea is to make global musical culture accessible to all. From Brazilian drumming to brass marching bands to West African guitar grooves, you’ll honk, stomp and cheer your way into summer. By night’s end, music lovers and band members can be found dancing (and sweating) together as one highly spirited crowd. It’s uplifting to see, hear and be a part of. Bring a dish to share, toss some dollars into the donation jar and get involved as a volunteer. 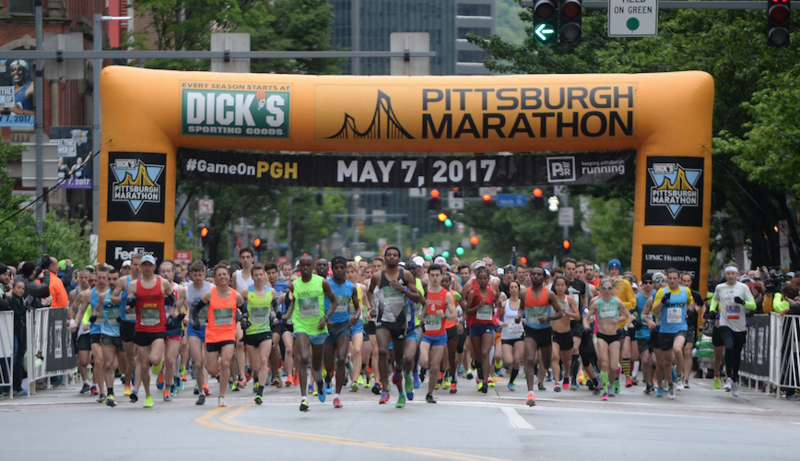 Whether you’re training daily or ready to cheer your heart out, it’s time to start your engine for the 10th anniversary of this beloved Pittsburgh tradition. From the North Side to Highland Park, 14 neighborhoods will host free festivals engaging spectators and keeping runners pumped up. The route will be animated by 200,000 fans, 1,000 signs, 40 bands and 20 cheer groups. Expected to draw 40,000 runners from 25+ countries, race weekend will also feature a health and fitness expo, athlete Q&As and a finish line festival. For the first time, P3R is hosting the USA Track & Field Half Marathon Championships, and teaming up with the Department of Homeland Security’s public safety campaign. The full-course time limit has been increased from six to seven hours, and half-marathoners now have 3.5 hours to finish. Not marathon material, but love being active? There’s also the kids’ marathon, toddler trot and pet walk. Learn more and register. 3. Midway at Carnegie Museum of Art: May 11, 6 – 9 p.m. The big top comes to the art museum for one very special night of creative indulgence. Transforming its galleries and grounds into what just might be the region’s only kid-free carnival, CMOA’s latest themed party knows that we’re all craving a spring fling. Step right up to play classic carnival games, stroll amidst wandering stilt walkers and balloon artists, and even dunk an Andrew Carnegie impersonator. 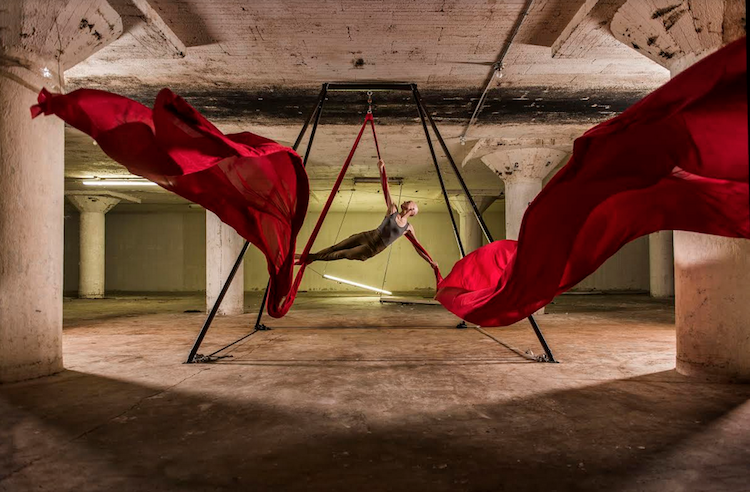 Keeping the circus vibes otherworldly will be gravity-defying aerial performances by Bombyx Collective, shows by world famous Pittsburgh magician Lee Terbosic and sideshow entertainment with puppeteer Dave English. Get your sugar rush with “fair fare” like cotton candy treats and carnival-themed cocktails, chill out in the beer garden and tranquil Sculpture Court, and dance to pop tunes spun by Strangeways. Need more decadence? Hop into the bounce house, sit for a caricature or have your face painted. Buy tickets. 4. 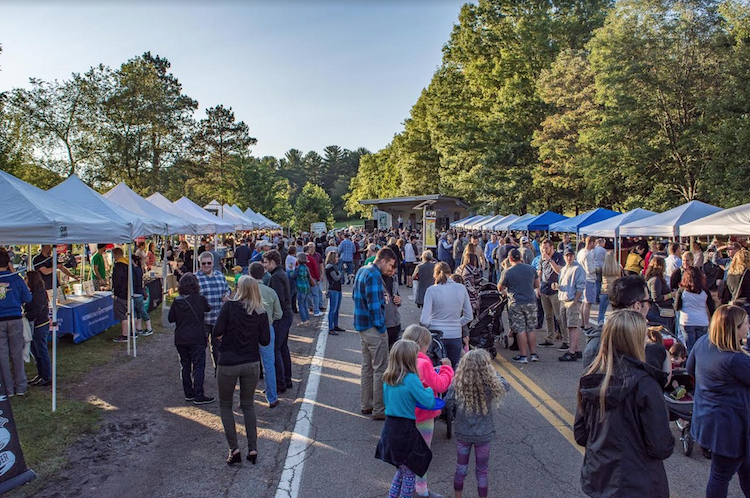 Pour at the Park at South Park: May 11, 5:30 – 8:30 p.m.
Do your part to boost the craft beer revolution and protect our region’s green spaces for generations to come. For its next benefit beer bash, the Allegheny County Parks Foundation heads south to host a rustic evening blending ecology and brewology. Within the South Park Fairgrounds Museum Building, Pour-goers will sample locally-crafted beers and bites from 25+ food and drink purveyors. From Grist House and Hop Farm, to A Few Bad Apples and Snakeguy’s Pepper, there’s a flavor for homebrewers and foodies alike. The family-friendly event will also feature live music by Shay and Molly Alphabet, and children can use the on-site playground. Be one of the first 500 people to buy tickets and receive a stainless steel tasting tumbler. Refill that cup, because proceeds support improvements to Allegheny County’s nine parks. Photo by Paul g. Wiegman. The wait for spring has been excruciating. 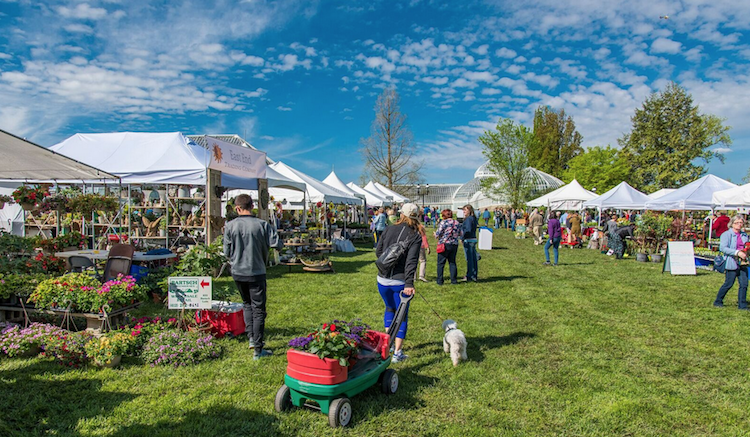 The best place to green up that thumb, stock up on your gardening needs and jumpstart those outdoor décor dreams is the May Market. For its 82nd installment, this Pittsburgh tradition will transform Phipps’ front lawn into an ultra-green marketplace just in time for Mother’s Day. With something for armchair and master gardeners alike, the area’s finest selection of home and garden goods boasts a staggering assortment of organic herbs, vegetable seedlings, tropical, native and rain garden plants, succulents and seasonal favorites. Those new to gardening will love the easy-care perennials from Phipps’ “Top 10 Sustainable Plants” lists. Also showcased will be vendors selling gardening accessories, lawn décor, botanical art, body care products and handmade jewelry. Learn tips on-site from expert horticulturists, and enjoy Phipps’ signature fondant-dipped strawberries. Hours are 9:30 a.m.-7 p.m. Friday and 9:30 a.m.-5 p.m. Saturday. 6. 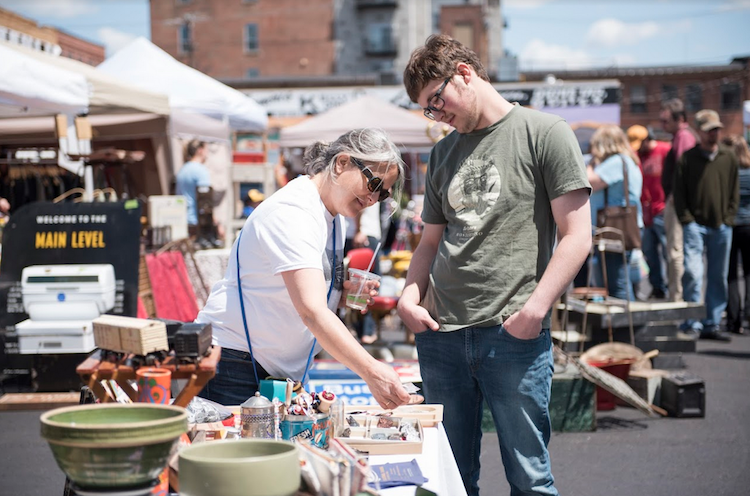 Neighborhood Flea opens in the Strip District: May 13, 10 a.m. – 3 p.m.
Get that spring cleaning out of the way now, so you can make room for all of your new — and old — fabulous flea finds. Debuting a new location in the Strip District — in order to accommodate its expanded footprint — the Neighborhood Flea will set up its al fresco market for six shopping-filled Sundays. Multiple street-level shopping areas will be located along 26th from Smallman to Railroad Street. Don’t miss the kick-off on May 13 with 80-plus sellers – including Firecracker Fabrics, The Hatchery and Re-tiqued – peddling everything from furniture and books, to jewelry and wellness products. Come hungry because the Flea is also expanding its food truck lineup, plus adding additional food and beverage vendors like Red Star Kombucha, Chocolate Moonshine Company and Kimi’s Konfections. The Flea will also include a covered patio seating area, yard games and hands-on activities, and music by DJ EZ Lou. The post 11 Pittsburgh events you won’t want to miss in May appeared first on NEXTpittsburgh.